To all the girls in town, do join Clinique's Who's That Girl Search at any Clinique counters nationwide from Nov 7-30, 2011 and learn how to create the perfect style - from Fashionably Flirty to Classic Chic, Downtown Cool & Laid-back Luxe. 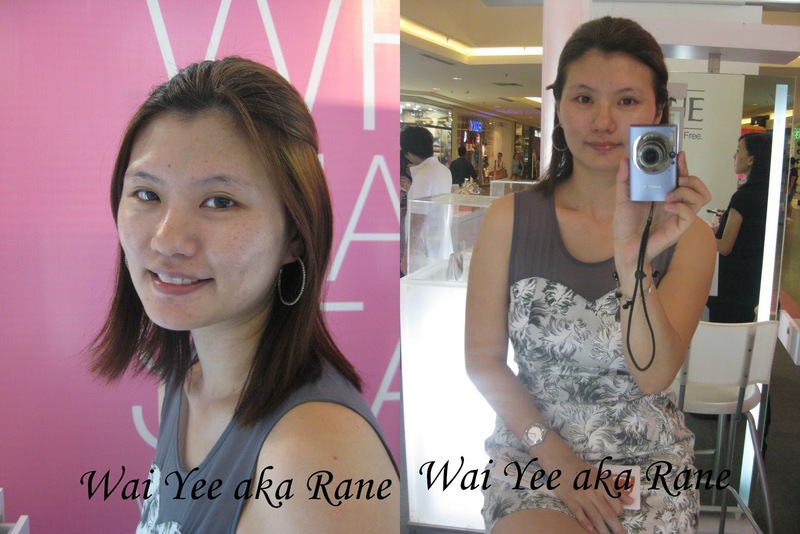 Jusco Mid Valley is having Clinique's Who's That Girl Search roadshow until 27th Nov 2011, Sunday. I took the oportunity to get myself the complimentary make over. The MUA used these Clinique Makeup to transform me from ugly duckling to swan! I can tell you, the make over is perfect and I love it very much. What's more! Visit Clinique Counters today to enjoy FREE* Treats for you. Choose between Long Last Glosswear SPF 15 in Fireberry or Bonfire and 7-day Scrub Cream upon consultation. *Contest open to female Malaysia aged 16-28 years only. *One set to a client. While supplies last. I didn't managed to get All About Eyes for MWS readers too, guess it's run out of stock on the very first few days.